Every since its formation, the European Union (EU) had a great and important objective: to reduce the gap in the different regions’ levels of development, in order to strengthen economic and social cohesion between its Member States. Therefore, EU has developed a “Cohesion Policy”. Taking under consideration that by 2007, 12 more countries would join the European Union, the cohesion policy had to become updated. On October 2006 the EC approved the “Community Strategic Guidelines” for the programming period 2007-2013. Each Member State was obliged to follow these Guidelines. Each Member State was invited to produce a document that would define all the national policy priorities and at the same time it would suggest key elements of implementation: suggestions on how the money from funds would be used to bring development. This document was called “National Strategic Reference Framework” (NSRF) and it ensured that the consistency between the European cohesion policy and the respective policy would be implemented at national level. The financial instruments that funded the proposals of the NSRF were: the European Regional Development Fund (ERDF), the European Cohesion Fund (ECF), the European Social Fund (ESF), the European Agricultural Fund for Rural Development (EAFRD) and the European Maritime and Fisheries Fund (EMFF). 16.500 small and medium sized enterprises have been funded in order to modernize their operational processes. 18.500 infrastructure works are finished. So far, Greece has absorbed 79,32% of the total available amount of the programme. 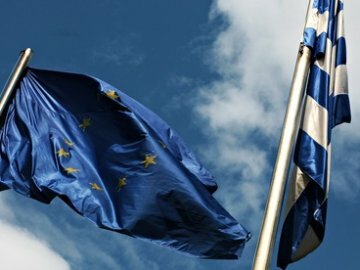 This brings Greece at the top three positions among the 28 countries of the European Union. reduction of social exclusion due to poverty. The successful implementation of this strategy depends on the willingness of each Member State to adjust and implement it at national level. As a result, each Member State must submit a new NSRF document which will present the actions taken towards the achievement of the “Europe 2020 national targets. Greece has submitted its NSRF 2014-2020 (the new ESPA) to the European Commission, in February 2014. It is expected that by the end of June 2014, the EC will approve the programme. The available amount of money through the new ESPA programme are 20,8 billion euros. The funds that participate are same as they were in the previous programming period. Competiveness and Entrepreneurship. This SOP will absorb 25% of the total amount, i.e. 3,8 billion euros. This high percentage of absorption signifies the willingness of the Greek government to create a business friendly environment in Greece. The prosperity of the economy in Greece will only exist if the extroversion of the businesses operating in the country is enhanced. It is also important to fund any innovative business idea that is related to the following crucial economic sectors: tourism, rural development, information technology, design, environmental industry, energy production and saving. Especially for the latter, it is has been scheduled that 700 million Euros will be used to fund the programme “Energy Efficiency in household buildings”. It concerns grant aid for energy efficiency interventions to buildings which are used as residences and they are classified as low energy efficiency buildings. Their owners in order to apply for this aid should meet specific income criteria. Additionally, an extra amount of total amount of 450 million Euros will be used for the programme “Energy efficiency for buildings with professional use and buildings belonging to the State”. Upgrading of public Sector. This SOP will absorb about 3% of the total amount, i.e. 0,4 billion Euros. The eligible actions for funding are: provision of electronic public services (e-governance), evaluation of the public servants, modernization of the justice system, upgrading of the public health services, upgrading of the local authorities services. The ambition is to diminish the stiff bureaucratic system that the citizens and most importantly the entrepreneurs had to deal with so far. At the same time, it is expected that the implementation of this SOP will bring better coordination between the ministries, which will make the investments in Greece easier. Environment / Transportation. This SOP will absorb 24% i.e 3,7 billion Euros. It will be used to fund on-going infrastructure works like: the underground networks of Athens and Thessaloniki, completion of road and rail networks that connect Europe and Greece (trans-European networks). Additionally it will be used for funding environmental projects that promote the environment protection. Training / Life –long learning / Employment opportunities. This Sectoral Operational Programme will fund any actions that aim to reduce the unemployment rate in Greece, to fight poverty and social exclusion. The effects of the economic crisis in Greece are visible in the everyday life. The unemployment rate has reached 27% in 2013. It is estimated that long-term unemployment can be very destructive for the social cohesion. Therefore, it is necessary that the forth SOP will be delivered very soon, and its results are expected within the next 2-3 years. Apart from four main Sectoral Operational Programmes, there will be 13 Regional Operational Programmes. They will absorb 5,4 billion Euros (out of the total amount of 20,8) and they will be run by each one of the thirteen regions of the county respectively. The economic crisis unveiled the weaknesses of the Greek economy. The application of the NSRF programme (the ESPA programme) for the programming period 2007-20113 helped to blunt the tragic effects of this crisis. Even though, Greece did very well regarding the absorption of the funds of the previous programme, it is expected that the new programme NSRF 2014-2020 will bring more visible results: it will bring the greek economy back to the development road again. The new programme will finish all the on-going projects that started during the previous one (mainly regarding the infrastructure works), but most importantly it will bring new job opportunities and it will enhance the business climate in Greece. The exploitation of the resources coming from the European Structural Funds is a great opportunity for new investments to arrive in Greece. The new NSRF will mark a new era for the economy in Greece.